Shhhhhhhh, do you hear that? Listen. There! That sad voice pleading, “please help me”. That would be my workroom crying out for attention. So gross! And depressing. 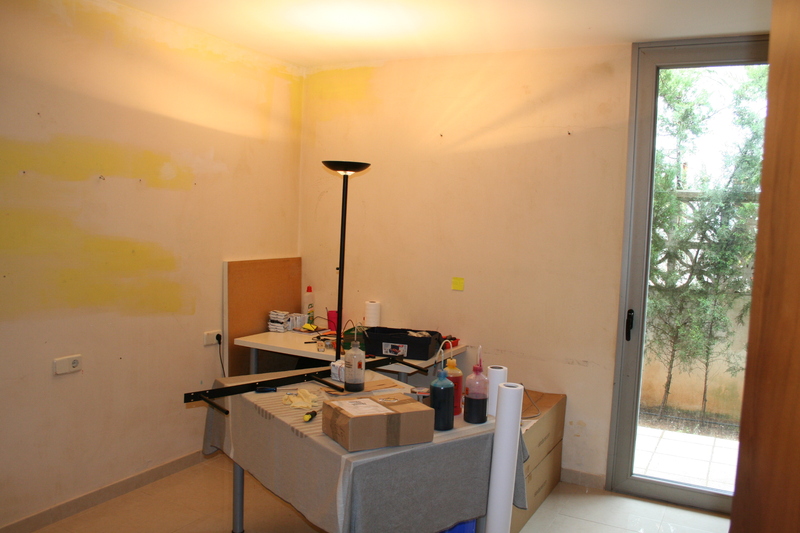 And a new room can be only errrr, a few days away! Well, it took ME three days to paint three walls. It’s not like it was a need-it-done-now situation. Relax, it’s fun! And so easy. All you need is to choose a color, buy some painter’s blue tape, a paintbrush, a roller brush and a plastic tray for the roller. 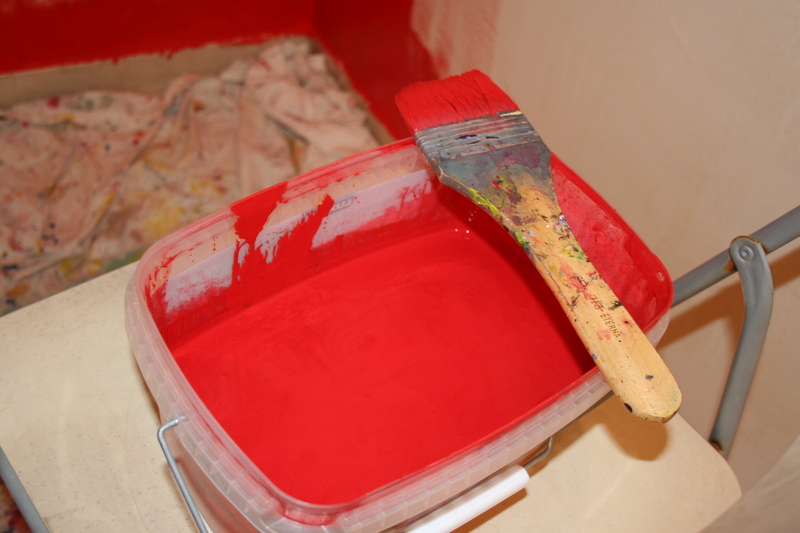 My color choice – tomato red. But it turned out a teeny bit darker, which I still liked. I also did a quick touch up with white paint where the ceiling meets the wall area. Painting the entire ceiling was unnecessary so why do it? 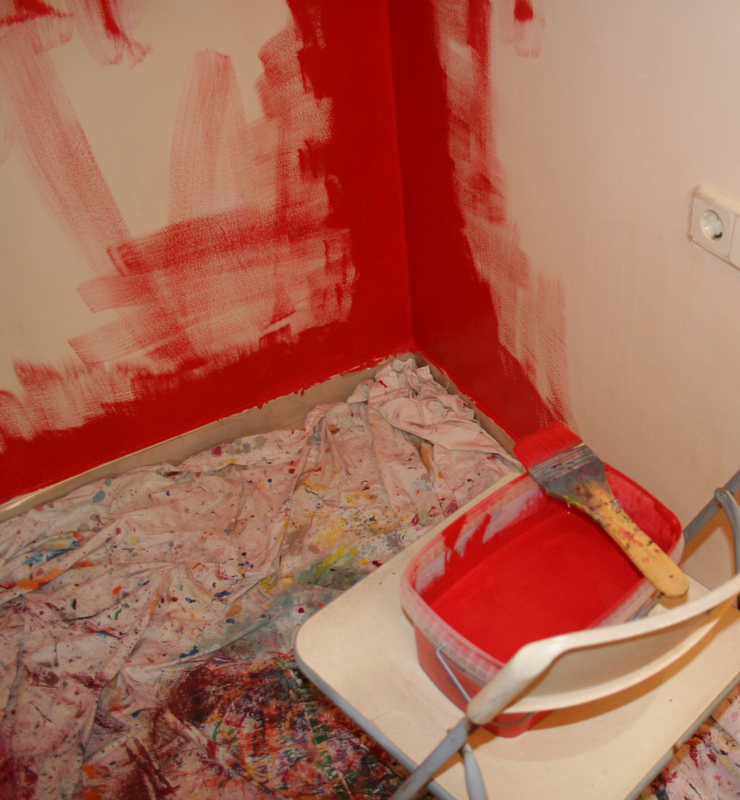 Some sites say to prep the walls, meaning paint them white first. 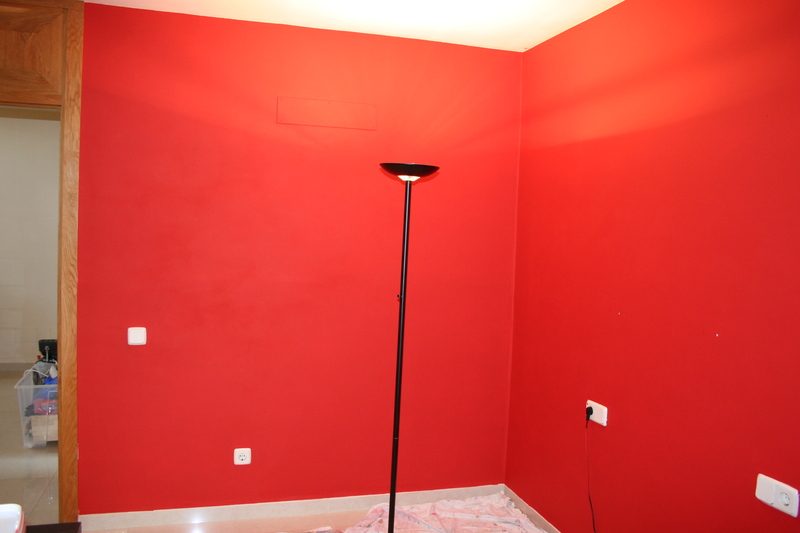 I can see where that would be important if you were painting a light color but with red, I forgo that step. Step ONE: Clean the walls to remove dust and dirt with water, a little mild dishwashing detergent and sponge. Step TWO: Tape the trim, window, outlets and door frame. 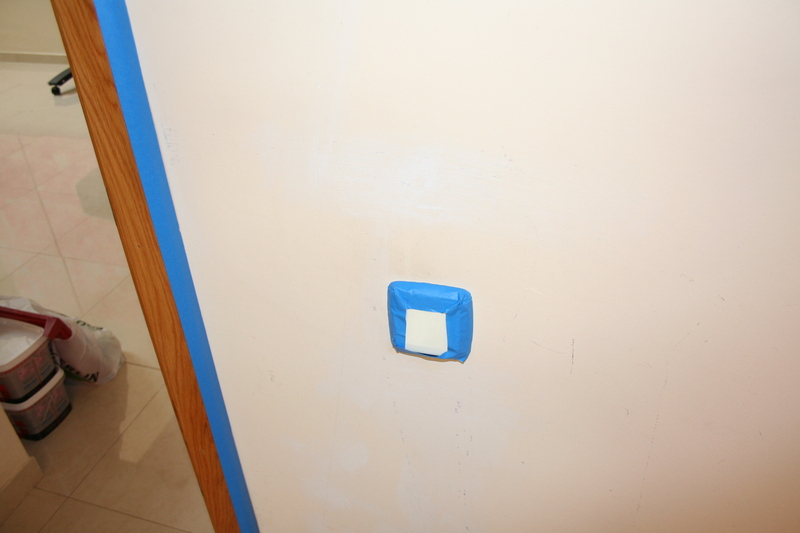 Remember to take off the tape before the wall dries so you don’t peel off any paint with it. Step THREE: (This would be when you would prime the walls if you were going to) Brush on paint around trim and in the corners of walls, where your roller can’t reach, with a two-inch angled brush. Extend out two to three inches from windows, doors, and moldings. Step FOUR: Use the W technique. For efficiency, start in the corner of a wall and roll on a three-by-three-foot W pattern, then fill it in without lifting the roller. Continue in sections until you’re finished. 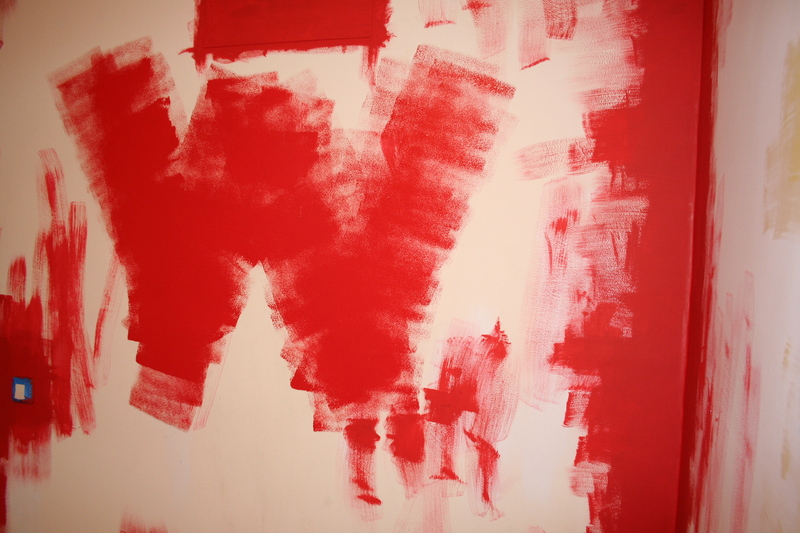 Paint one wall at a time. Step FIVE: Paint the trim. When the walls are completely dry, tape where the trim meets the wall. Paint the moldings and the door and window frames with a two-inch angled brush. But I have tile trim and metal window frames, so this did not apply to me. AND FINITO!! You are done! Good job!! Here are my fabulous new walls. Ahhh, zen, so much better. Ohhhhmmmmmm.